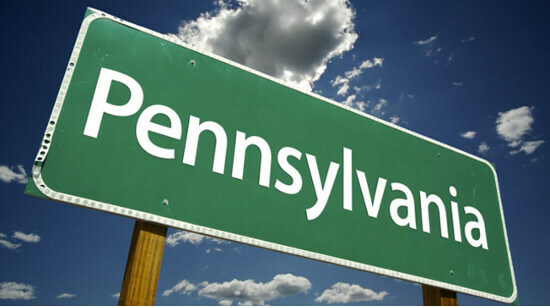 Last Tuesday, 21st March, Pennsylvania was presented with Sen. Jay Costa’s SB524 expansion bill as one step in an ongoing convoluted feud to legalise and regulate gambling in the state. In a previous article, we got a glimpse of how online casinos might be facing a total exclusion from the game. Now, with Costa’s bill in play, things might be different, but with quite a few kinks to straighten out. Last Monday, Sen. Costa revealed a 207-page version of his SB524, previously previewed in January. This bill is in line with one introduced by the House of Representatives known as HB392. Costa’s bill echoes such prescriptive regulations stating that online gambling, Daily Fantasy Sports (DFS), mobile tablet gambling at certain airports will be legalised. Also, this looks to fix the unconstitutional slots tax for casino host communities, which also means that skill-based gaming machines in casinos will be allowed, while Category 3 casinos will be able to kick their non-gaming amenity requirements as long as they settle a yearly payment of $1m for five years. Here’s the catch, though. While HB392 would have proposed a 14% tax on online gambling and DFS, Costa’s SB524 is looking to impose a 25% tax. While this is nowhere as outrageous as the earlier Senate bill’s proposed 54%, it is still quite a bite to chew on and it’s still to be seen whether up and coming online operators are willing to take that leap. Things get even more complicated since SB524 also looks to include online lottery sales. Besides selling draw tickets, they will also introduce internet instant tickets, iLottery games and play-for-fun games, which will place themselves in stark competition with online casino products. If this can serve as an form of indication, the state has already allocated $100 million for this year and $150 million for next year in revenues accrued from the gaming business, even though the circumstances under which these funds are to be raised are still unclear. What already seems quite clear though is that the majority of land-based casinos are supporting the introduction of online casinos while starkly opposing the setup of video gaming terminals (VFT) in pubs, clubs, and VFW halls. The next hearing, which will also include anti-online proposals, is scheduled for Tuesday, 28th March.